High level officials from Department of Forest, Chittagong visited YPSA’s project activities of “Restoration and Conservation of Biodiversity in the Denuded Hills” in Mirsharai on 15 January. They discussed with forest depended people in a FGD meeting. Mr. Rakibul Hasan Mukul, Forest officer, Md. 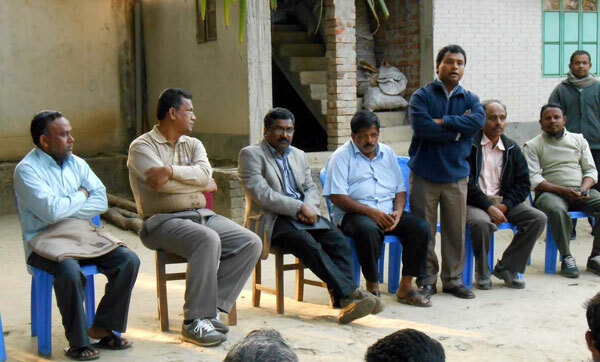 Belaet Hossain, Assistant Forest guard, Chittagong North, Mr. Gazi Matiur Rahman, Range officer, Mirsharai, Members of People’s forum, representatives from local government and YPSA officials were present in the meeting.